I'm sure you all know who Miroslava Duma is! She's a beautiful Russian woman, mum, great fashionista, freelancer writer and ex- editor for Harper's Bazar Russia. Sono sicura che tutti sappiate chi sia Miroslava Duma! E' una bellissima donna russa, mamma, grande fashionista, scrittrice freelancer e ex-editor per Harper's Bazar Russia. She was perfect even when she was pregnant! Perfetta anche quando era in dolce attesa! So what do you think about her style? 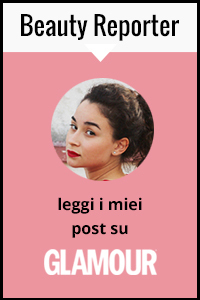 Allora, cosa ne pensate del suo stile? These photos are so nice, I like them! And she looks really fab!Nice post! Hey... I really like your blog. Nice one. Good job!! I´ll now follow you. Hope we could follow each other! Bye the way... I love your style!! I think it's great and has a fantastic style! I absolutely love her! she's my icon, too! I know her too. She is a doll and her style is amazing :)! Thank you for sharing these photos of Miroslava - you're right, she is so beautiful and so stylish and so tiny!